Most of us will have seen the video on the London train where the carriage breaks into a rendition of “Lovely Day”, followed by a man proposing to his partner. If you haven’t, it’s something you should definitely watch for proposal inspiration! If your partner commutes to and from work on a regular basis then a flashmob is a fantastic way to propose. There are companies out there who can organise singers or dancers to help you pop the question in style – and as a bonus you’ll capture everything on video for some great memories! If your partner loves the theatre, pick up some tickets for an upcoming performance of one of their favourite shows and get in touch with the stage manager in advance. Proposing on stage after the curtain call is a sure-fire way to get them to say yes! If you plan well in advance you could even ask if they’ll print an advert or special notice in the show’s program, for a keepsake of your proposal. One of our favourite ways to propose has to also be one of the most exciting ways you can pop the question! 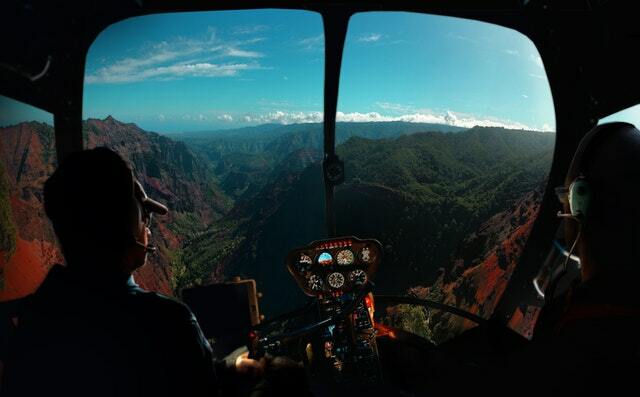 A helicopter ride for two is the ideal way to ask the one you love to marry you, and you could even book a themed ride for a truly unique experience. Why not organise a flight over their team’s football stadium, a helicopter ride over a favourite city or even a tour of Stratford-upon-Avon as you quote Shakespeare with skull in hand; sure to leave a lasting impression! With helicopter rides lasting up to 30 minutes you have plenty of time to prepare and make sure everything is perfect for a proposal they’ll never forget. If the idea of taking off to great heights doesn’t appeal, perhaps this proposal idea will. Take your partner on a day out to the local aquarium or sea life centre and ask divers to put on a show with a waterproof sign saying “’Their name’ Will you marry me?” As they wait for feeding time, a proposal is the last thing they will be expecting, so this is a great way to surprise them! For a really romantic and personal proposal, why not surprise your partner with a treasure hunt? This should start at home, using a handwritten note or text message as a clue to the next location. Take them on a tour of all your favourite spots across town, from where you had your first date to the place you had dinner before you moved in together. It’s up to you whether you hide the ring (somewhere safe!) at the final destination or get down on one knee and present it to them yourself. Public proposals are all well and good, but what if your other half prefers movie nights at home to dinner and drinks on the town? Proposing at home can be really romantic and we think this is one of the best ideas for an at-home proposal. Have a custom jigsaw puzzle made with a picture of the two of you and the words “Marry Me?” Doing the puzzle together makes a great rainy-day activity and once you’ve finished and the picture is visible, you’re ready to get down on one knee and pop the question – how could they resist? If your partner loves nothing more than a lazy Sunday breakfast in bed, make them their favourite treat, whether that’s waffles with strawberries, pancakes with maple syrup and bacon or scrambled eggs with smoked salmon. Before you do that though, call up your local paper and take out a full-page ad. When you’re relaxing together and enjoying breakfast in bed, whip out the paper to catch up on the current events and watch their face light up as they realise what they’re reading! 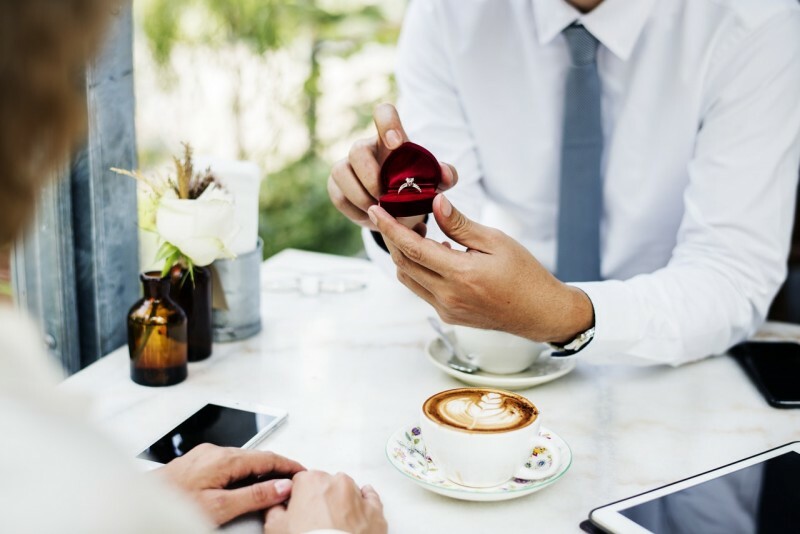 A great proposal doesn’t have to be flashy or cost the earth – it’s all about thinking of a unique idea that your partner will find special and putting in the effort to make the occasion truly memorable for them (and you!) 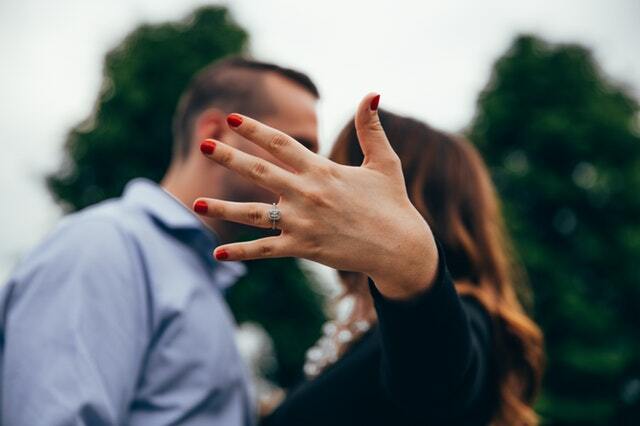 To find out more about proposing on a helicopter ride, why not get in touch with Pennine Helicopters and we’ll help you organise something special.